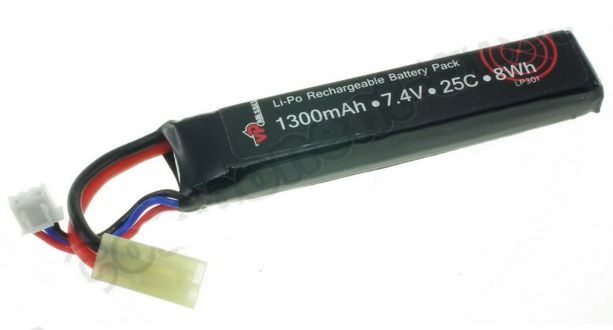 A quality 1300mAh 7.4V LiPo battery especially made for Airsoft and Radio controls models. The battery will easily fit into stock tubes and confined spaces.This is a single stick battery for most Airsoft electric guns and this was was made for guns with tight spaces like tubes of M4 platforms. 1300mAh with a 25c ratubg. Tamiya connector with 4cm wire. 2 cell Single stick with Tamiya connectors.